Okay, I have to put these both into one blog post, or I will keep forgetting to post. First, I will be giving everyone some resources, so they can successfully advocate for themselves. Create a “care page” – a list of your best resources that someone who is newly diagnosed could go to when starting to advocate for themselves or a loved one. Remember to include sites that lead to successful self advocacy! If you are going to participate in online advocacy, here some great places to go to get started! Diabetes Social Media Advocacy- This is the place to go to connect with other diabetics on the web. There is the DSMA tweetchat, held every Wednesday at 9 PM EST, the monthly blog carnival, and so many other ways you can get involved. Check out WEGO Health, they run HWAMC twice a year and have many tools for bloggers! Okay, I'm really not that fantastic at coming up with ideas for this, so I'll just say that you should look at your fellow bloggers for examples of great online advocacy. You can ask them questions; I'm sure that they would love to help you out! The ADA's advocacy page has tons of resources -for advocating at school, at work, and even talking to your representatives. 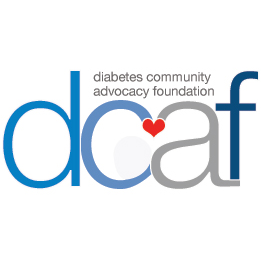 The JDRF also has an advocacy mini-site with tons of ways you can advocate for your diabetes. The IDF's website is also a great place for advocacy ideas. Now, to Part Two of the post! “If I could do anything as a Health Activist…” Think big today! Money/ time/ physical limitations are no longer an issue. What is your biggest goal that is now possible? If I could do anything as a Health Activist, I would create a set of commercials with diabetes bloggers in them, sharing misconceptions about diabetes and why they are wrong. We can eat sugar, we just have to eat it in moderation, like everyone should. Diabetes can be caused by gene mutations and sometimes an overall unhealthy lifestyle. We didn't get diabetes from eating too much Halloween candy. I would have these commercials air on channels that almost everyone watches, and would eventually want them to be filmed in other languages for other countries, as well. That would be awesome. Love the commercials idea! That would get through to people I think!